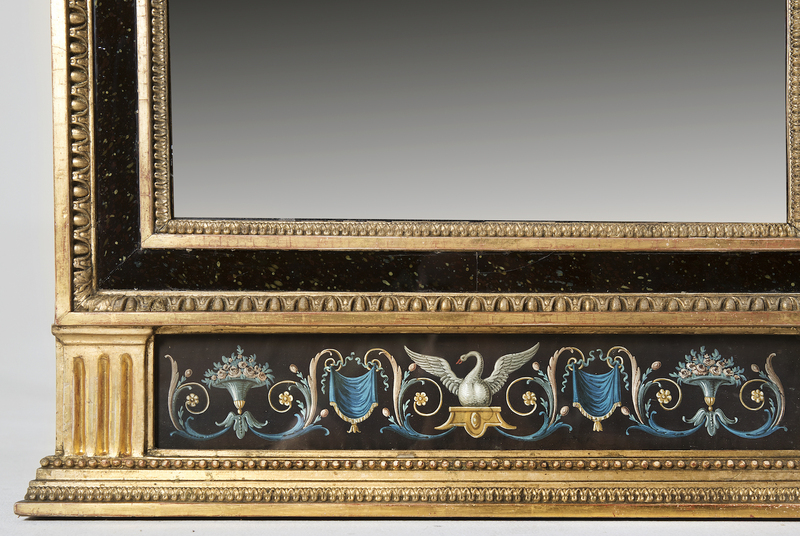 A Gustavian mirror, late 18th century. 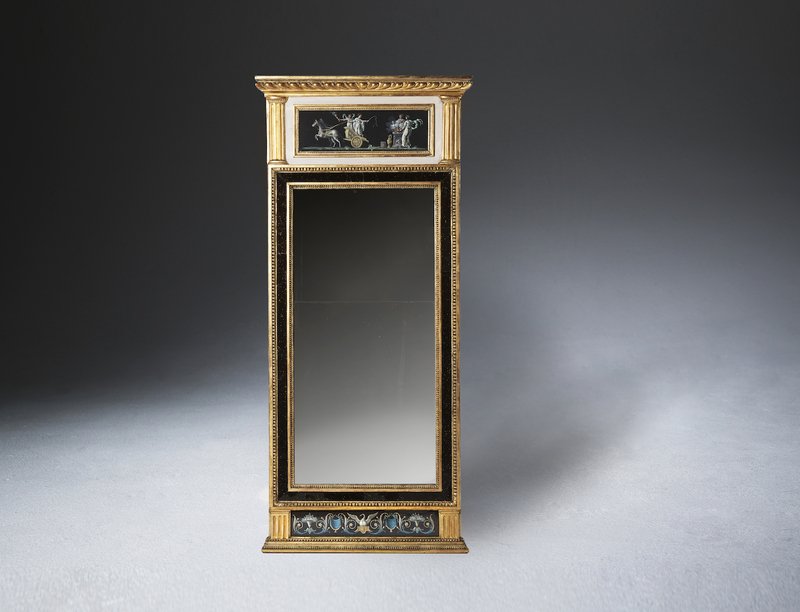 A carved giltwood neo-classical Gustavian mirror with a faux porphyry frame. 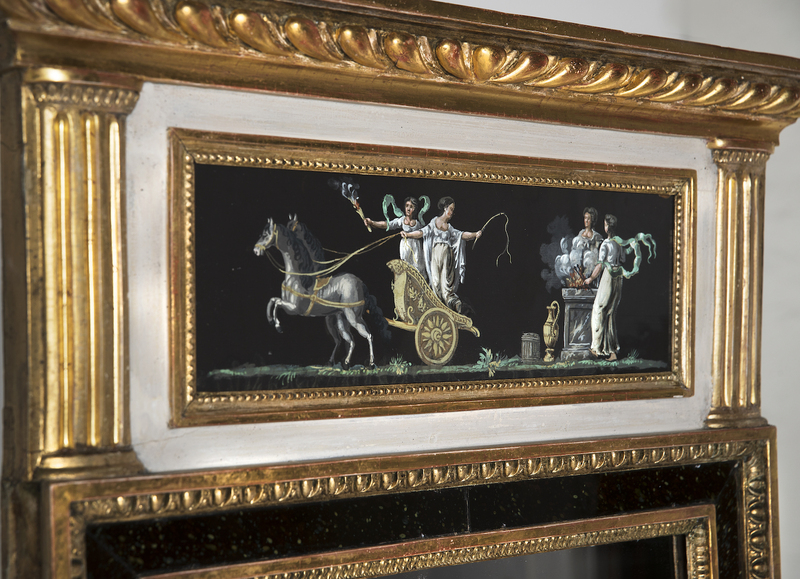 The top and bottom decorated with water color paintings.